The exhibition looks at everyday life in medieval times, at saints, relics and pilgrimages, and the social importance of the Church. The exhibits convey a picture of the things that were once to be seen in different settings – in people´s homes and in churches. Many of these objects are unique today but were much more common in the Middle Ages. The exhibition shows various aspects of medieval life in Sweden. This was a time when religion permeated people’s lives on both weekdays and holidays (holy days), set the rhythm of the year and gave life a definite meaning. Traces of everyday living tell of domestic chores; things people wore and how they amused themselves. Preserved jugs, ewers, cooking pots and skillets give some information about the medieval kitchen. The pottery on display is from Kalmar, one of our principal trading towns in the Middle Ages. Kalmar had a large German population, and most of the pottery comes from German territories. Personal cutlery was unusual, reserved for the wealthier members of society. The finely worked bone knife handles in display here are shaped like bagpipers and other figures. You will find the exhibition Medieval Life on the first floor. Gaming had been a popular pursuit since prehistory, and board games of various kinds were widespread. Chess came to Scandinavia in the late 12th century from the Moslem world, and in this exhibition, you can see chess pieces made of bone and walrus teeth. The game of chess is sometimes likened to medieval society in general, with different pieces having different degrees of power and different strengths, just like the various groups in society. The lives of medieval people also included going on pilgrimage to holy places where, for example, the remains of saints were located. The oldest Scandinavian records of pilgrimages are inscribed on 11th century rune stones, with Jerusalem among the destinations. There were also places of pilgrimage nearer home. The relics of St Bridget were in Vadstena and the tomb of St Olof in Nidaros Cathedral, in what is now Trondheim. These two places became two of the most important places of pilgrimage in Scandinavia. As evidence of having visited a holy place, one could purchase a pilgrim badge. Vadstena badges are the ones most commonly unearthed. Figures of St Bridget, St Olof, St Sebastian and the Apostle St James the Great, whose grave is believed to be in Compostela, are on display here. St James is the patron saint of pilgrims, and his symbol is a scallop shell. This exhibition features pilgrim badges from several different places. 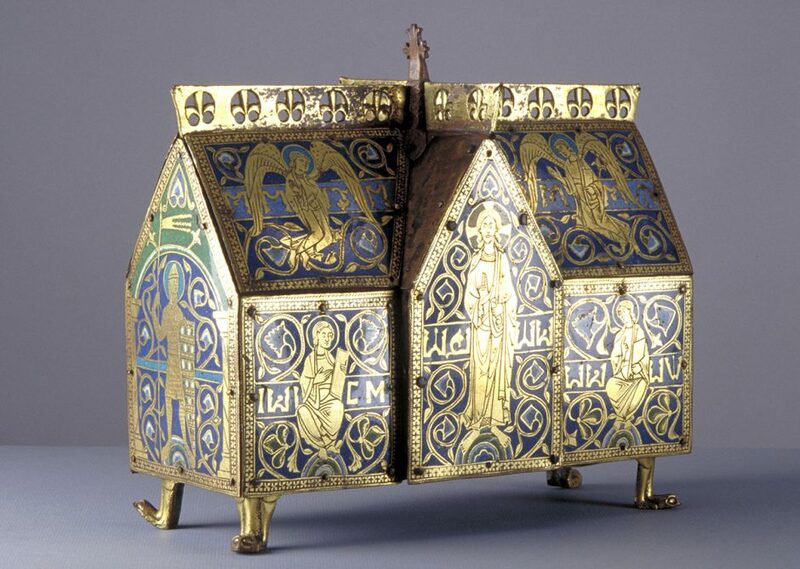 Shrine of copper and enamel, Uppland, Spånga church, 1100-1200s. You have an example of the medieval world picture in the reproduction of a map made in about 1300. This puts the ideal city of Jerusalem in the middle, as the geographic and religious centre of the earth. It is surrounded by Asia, Africa and Europe. The original map came from Ebstorf in Germany and was destroyed during the Second World War. Also, at the centre of the exhibition is a gilt reliquary shaped like a building and with enamel decoration. It comes from a church in Uppland but was made on the Continent in the early years of the 13th century. 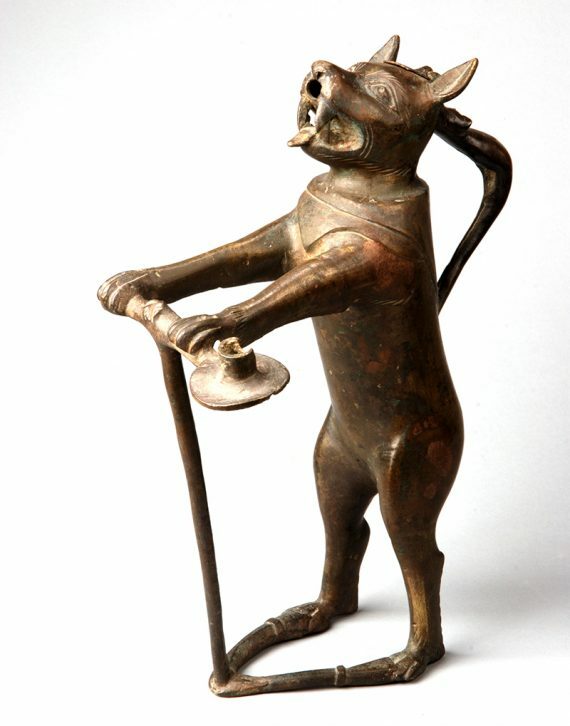 Bronze vessel for water (aquamanil), made in Lübeck. Skåne, Skårby church, 1300-1350. The church became a natural meeting point on all feast days, and in the celebration of mass medieval churchgoers beheld a splendour which most of them never experienced anywhere else. You can see crucifixes, censers, chrismatories (vessels for consecrated oil), wine flagons and water jugs (aquamaniles). The aquamaniles are often animal-shaped, on oriental lines. The lid of the censer is architectural in shape, symbolically picturing Jerusalem. The ciboriums were receptacles for the consecrated host (communion bread, photo p. 67). The prime bell was rung at various points during the celebration of mass. 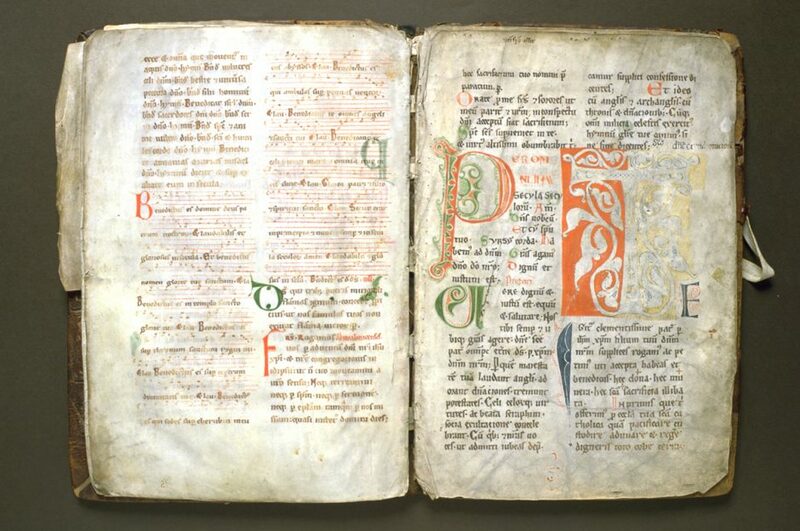 Exhibits here also include one of Sweden’s oldest surviving Advent missals, from Uppland. It has been dated to 1198. The colourfully enamelled crucifixes come from churches in Bohuslän, Närke and Småland. The crosses are made of oak, inlaid with gilt copper and have small stones of coloured glass. The figures – representing Jesus, the Virgin Mary and the Disciples – are modelled in copper, gilded and enamelled. They were made in Limoges, France, at the end of the 12th century. That city was renowned for its enamel work, and objects made there are to be found all over Europe. The crucifixes were carried in procession. One of Sweden’s oldest surviving Advent missals, Uppland, Vallentuna church, 1198. The medieval furniture here comes from churches and convents but could also have existed in a wealthy home. The chests belonged to the St Bridget Foundation in Vadstena Convent. Perhaps they were brought there by one of the noblewomen who took the veil. 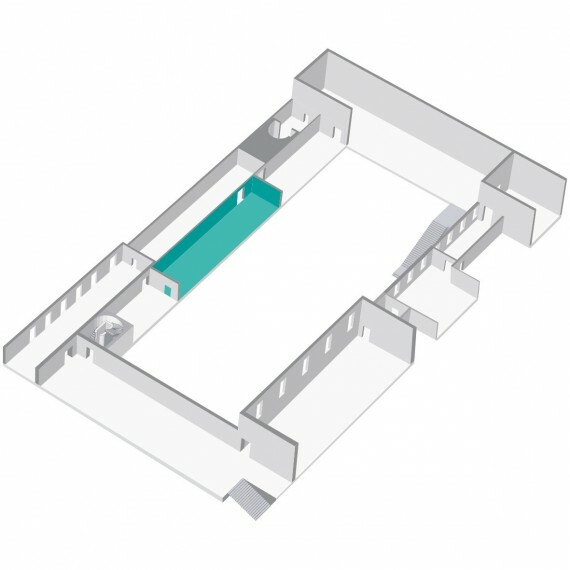 The exhibiution’s gallery was built at the end of the 1940s; a few years after the Museum first opened its doors. We have chosen to retain the interior furnishings, which are typical of their time. They were made in the then joinery shop of the NK (Nordiska Kompaniet) department store.